Currently, 1 in 10 people suffer from insomnia, the condition of finding it difficult to fall or stay asleep. This is unfortunate, as sleep is necessary to maintain a healthy life. It provides time for our bodies to restore and rejuvenate, grow and repair muscle, and synthesize our hormonal balance within our bodies. Lack of sleep would wreak havoc on our bodies and our brains. We all know how terrible it can be to try to function at work following a poor night’s sleep, now imagine doing this day in and day out. That’s why sleeping pills have grown so much in popularity—currently over 9 million Americans use them as sleep aids. But with all the negative side effects and withdrawals, it can be easy to see why someone may not want to take the prescription pill route. So, in that case, what can you do instead? Millions of people are constantly looking for more natural solutions to problems plaguing an overmedicated society. We live in a time where “there’s an app for that” has turned into “there’s a pill for that,” which is where much strife and addiction issues begin. In order to circumvent all of these potential issues, we look for natural alternatives to our problems. Luckily, when it comes to insomnia and sleep problems, you have plenty of options! Scheduling is key to getting rid of insomnia without using sleeping pills. Perhaps one of the easiest ways to get over your sleeping issues is by going to sleep at a certain time. After constantly falling asleep at a certain time, our bodies get conditioned to this schedule. Your body will actually begin to feel tired at this time, whether you’re in bed or not! Of course this does require patience and commitment to getting your rigorous schedule down. But, over time, if you can really make sure you maintain this schedule, you may find you can finally fall asleep at night without any help. This can also keep you on task and make you more productive during the day as well! A completely underrated alternative to sleeping pills when it comes to insomnia is the application of white noise in your environment. White noise is, by definition, a noise containing many frequencies with equal intensities. 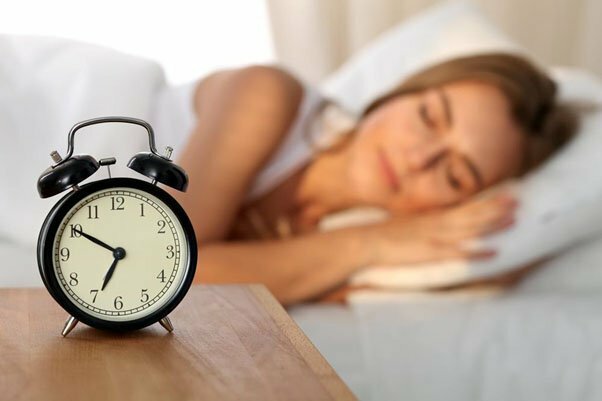 When it comes to sleeping and insomnia; however, white noise is anything that can drown out other noises that may keep you awake like the traffic outside or a dog barking. Having this non-attention grabbing noise fill the room can drown out the other, more identifiable noises that may be disturbing you. Using a white noise machine (machine loaded with noises and sounds designed to help you sleep), keeping the television on static, or even keeping the fan on can help you fall asleep. While it may irritating to be perpetually reminded, exercise really is the answer to most of life’s problems, at least when it comes to health. By implementing an exercise routine into your daily life, you may begin to find that insomnia is a thing of the past. Many people, these days, do not emit much energy throughout the day, especially if working a desk job. That said, it leaves much pent up energy in the body that may be preventing you from being able to settle down and fall asleep at night. Exercising not only will help release this pent up energy and exhaust your body the natural way, but it also will call for the need for sleep to repair the muscles that were damaged during your workout. Getting physically fit and healthy are merely other added benefits from exercising regularly! Another crucial aspect to maintaining a healthy lifestyle, which includes having a regular sleep schedule, is diet! That’s right—what we put into our bodies (and when) directly impacts how we move through our daily lives. Filling our bodies with sugary snacks and unhealthy food can actually make the digestive process much more difficult for our bodies, which can attribute to why we may have trouble falling asleep at night. Also, by eating larger meals at later hours, we’re directly impeding our body’s ability to sleep. The indigestion from your midnight snack may be the culprit for why you’re stuck in bed counting sheep every night. Try swapping out the Oreos for some fruits or vegetables, and try not to eat a large meal at least two to three hours before bed. If none of the above options have worked, it may be time to turn to over-the-counter alternatives. While dependency can still develop, even on these more natural alternatives, sometimes trying these medications may be the answer. However, anything is better than getting a prescription for Ambien. There are a variety of different natural sleep aids that can be picked up at any pharmacy or vitamin shop that may be the secret to unlocking your good night’s sleep. Give different things like Valerian Root, Chamomile tea, or Melatonin a try! At the end of the day, laying down for the night shouldn’t be a battle. 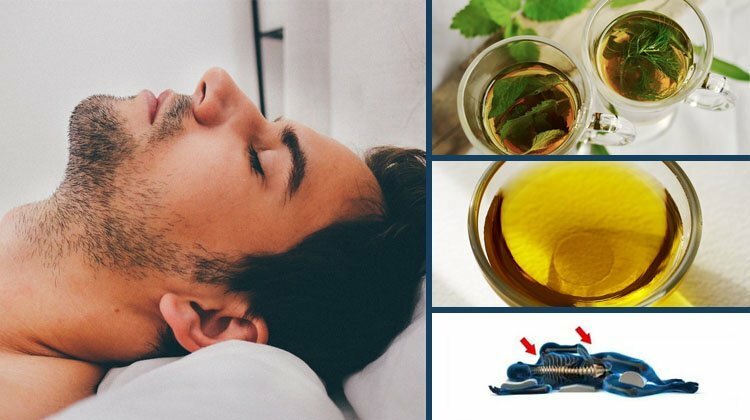 If you find yourself struggling to catch some Z’s the old fashioned way, trying out any one of these remedies may help you get the sleep you so desperately need AND deserve! With all of the sleeping pills on the market, it may be easy to just simply fill a prescription and carry on with your day. But, getting good, healthy, natural sleep is always better than relying on an addictive pill to do it for you. Remember—going natural is more beneficial!